Why Video for Deep Sky Objects? 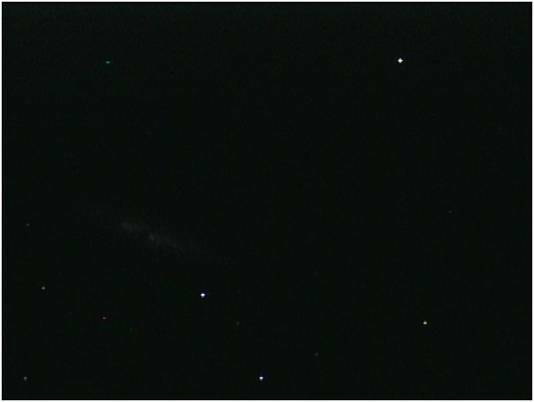 If you read my home page, you know that the main reason for my move to analogue video cameras for viewing deep sky objects is its ability to let me see so much more that I can with an eyepiece. It has been widely stated that video is equivalent to increasing a telescope's aperture by 3-4X. I have not verified the exact increase, but from what I have seen it certainly is plausible. I did an experiment one night form my backyard. I first dark adapted my eyes, then observed M82, the Cigar Galaxy, and M42, the Orion Nebula, through a 9mm EP with my 9.25" Celestron SCT. I sketched what I saw. Then, I attached my Mallincam Xtreme, which is roughly equivalent to an 8mm EP in terms of its FOV. I then adjusted the image exposure until I got an image as similar to what I was able to see in my sketch. These are the two images on the left below. 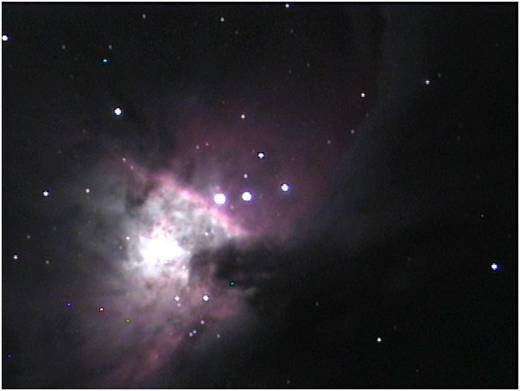 Then, I adjusted the image exposure to 30sec for M82 and 8sec for M42 and captured the two images on the right below. To me, the advantage of the video camera is obvious in terms of the difference in detail between the EP and the video camera. 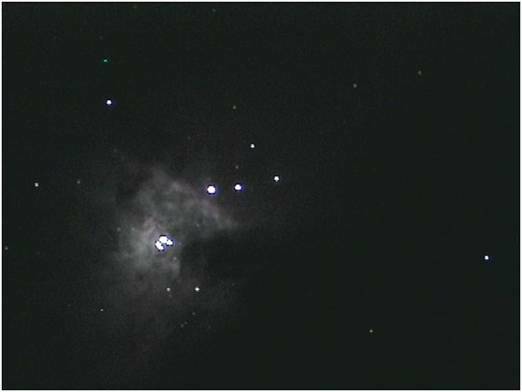 Not to mention, that with the EP I could not see any color, whereas the color in both M82 and M42 are obvious with the video camera. For me, staying warm while observing is the other big advantage of video. When at home I sit inside my observatory warm room and when at a star party I observe from inside an EZup tent. This keeps me nice and warm and dry and leads to longer, more enjoyable viewing sessions. It also prevents the light from my computer or monitor from disturbing other observers at star parties. I'll admit, that is is easy to forget to step outside look up at the stars ... something I have to constantly remind myself to do. Video is great for public outreach. I used it for the most recent solar eclipse where I had dozens of people gathered round an old TV to see the event. Although I have not personally used it for nighttime outreach events, I know others who have. 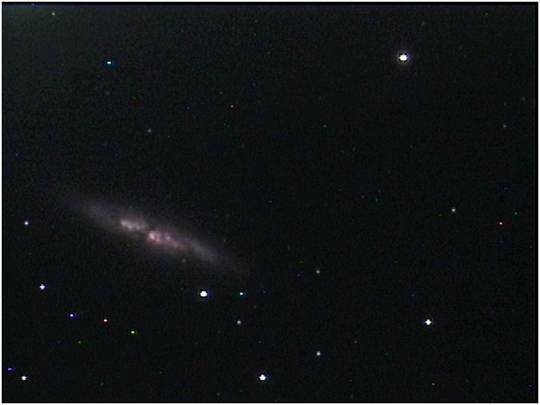 Being able to show deep sky objects like galaxies and nebulae broadens the scope of objects that can be shared with the public beyond the usual moon, planets and a few bright DSOs. Video avoids all the problems of long lines, constant re-focusing, worry about equipment damage, etc. And, it makes it easier to talk about the object being shown on the monitor for all to see and hear together. No more wondering if they actually saw it or not. Fortunately, my eyesight is still good, but I do know some observers who can no longer see well enough to get much satisfaction out of an EP. At least one friend is thankful that he can continue enjoying deep sky objects with his video camera. If one or more of these reasons hits home for you, you can follow along with the additional pages designed to help you get started on your own.